Attorneys and real estate agents often hold client or third party funds in trust and are responsible for tracking the receipt and dispensation of these funds. The purpose is to safeguard these funds from loss. The monies belong to the clients/third parties and cannot be co-mingled with company funds. A separate bank account is set up to hold the funds. Careful record-keeping is required to demonstrate that no improprieties occur in the handling and managing of these funds. If such were to happen, penalties are severe even to the point of suspension of licenses or disbarment. 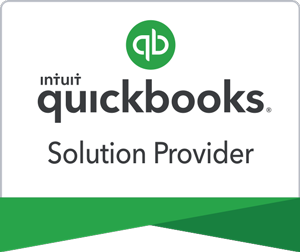 As many law firms and real estate agencies use QuickBooks® for bookkeeping, we’ve developed a Chart of Accounts and procedures for our clients to use to satisfy their bookkeeping needs for these accounts. Because the trust funds cannot be comingled with company funds, open a separate bank account and list it separately in the Chart of Accounts, i.e. Client Trust Account. This is a bank account that will be reconciled each month. An immediately realized problem is that this bank account may hold funds from a large number of clients/third parties. How do you track each party’s funds and know their individual balances at any given time? You may be required to give an accounting of the fund transactions for a given client at any time. We recommend setting up a subaccount of the Client Trust Account for each separate client. Because these monies cannot be comingled with company funds, there must be a liability account to offset the asset account (Client Trust Account). Name that account “Client Trust Liability” and set up matching subaccounts that correspond to the subaccounts under Client Trust Account. *The minus signs on the liability accounts are just there to remind you that liabilities are credits while assets are debits, so on the Balance Sheet, they will zero out. In your QuickBooks® Chart of Accounts, none of these accounts will actually have a minus sign in front of the balances. The balances in the Client Trust Liability accounts must always match the balances in the Client Trust accounts. If not, find and correct the transaction(s). Once you understand what the transactions are, you’ll know how to fix them. 1. You receive a $5000 check from Robert Andersen to be deposited into the trust account. Record a bank deposit into Client Trust subaccount 1105 Andersen, Robert, crediting Client Trust Liability subaccount 2105 Andersen, Robert. 2. You invoice a client for your services and withdraw funds from the Trust account to pay the invoice. Notice that every transaction in or out of the bank account, Client Trust Account:(Subaccount,) has a corresponding debit or credit to the Client Trust Liability:(Subaccount), so that the balances in these accounts always equal each another, one as a debit and one as a credit. Once a client’s trust account is closed, make the corresponding subaccounts inactive. This will prevent clutter in your Chart of Accounts. By purposeful design of the Chart of Accounts, carefully positioning accounts and subaccounts, you can make use of a “collapsed” Balance Sheet or “expanded” Balance Sheet. An “expanded” Balance Sheet, showing all the individuals’ trust accounts is good for verifying that trust and trust liability accounts have matching totals. A “collapsed” Balance Sheet would not list the individual trust accounts. There would only be a total balance for the Client Trust Account and the Client Trust Liability account. This form of Balance Sheet is more suitable for partners or lenders reviewing the firm’s financials.